BOTOX is an approved prescription medication that is applied through a single, or series, of injections at a given treatment site. Most often, BOTOX is utilized to aid in the reduction of wrinkles or crow’s feet around the eyes, brows, and forehead; however, we can utilize BOTOX for migraines, as well. BOTOX works by reducing muscle activity in those areas that are most often affected by repeated contractions over the course of time. Eyes, forehead, and brows are where we see the results of these muscle contractions as they are the regions of the face that work to display many of our daily emotions and expressions. As BOTOX is injected, it temporarily reduces the muscle activity in those treatment sites, resulting in a visible smoothing and reduction in crow’s feet and frown lines on your brows and forehead. WHO IS A BOTOX CANDIDATE? BOTOX is a botulinum toxin product and patients may not be eligible for treatment if they have had allergic reactions to other botulinum toxin products such as Myobloc, Dysport, or Xeomin, or if there is a skin infection at the desired treatment spot. WHAT DOES THE BOTOX PROCEDURE ENTAIL? Like many other injectable cosmetic treatments, BOTOX is an out-patient procedure that does not require traditional anesthesia or surgery. Rather, your certified cosmetic nurse or doctor will inject you with the prescribed amount of BOTOX for your treatment condition, and within a short amount of time you are free and clear to return home. 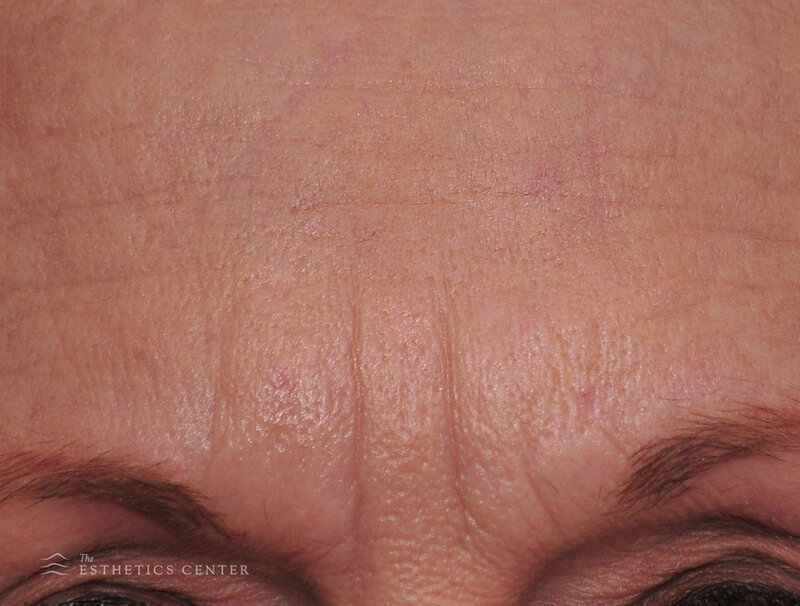 The recovery period for BOTOX varies from patient to patient. Generally, most patients return to their daily activities with no real recovery period at all. While rare, most often the side effects are very minor and may include: discomfort or pain at the injection site, headache, or eye problems. Results are noticeable in as little as one to two days, with results lasting as long as four months in some cases. Upon choosing BOTOX as your treatment method for lines and wrinkles, you can discuss with your doctor a treatment schedule to ensure that your results remain strong and healthy over time. It is typical that your doctor will determine the regularity with which you should receive treatment based upon your results, as results do vary from patient to patient. BOTOX has been used extensively, for a considerable amount of time, and has proven to be one of the most effective and satisfying methods for patients looking for smoother, more youthful looking skin. 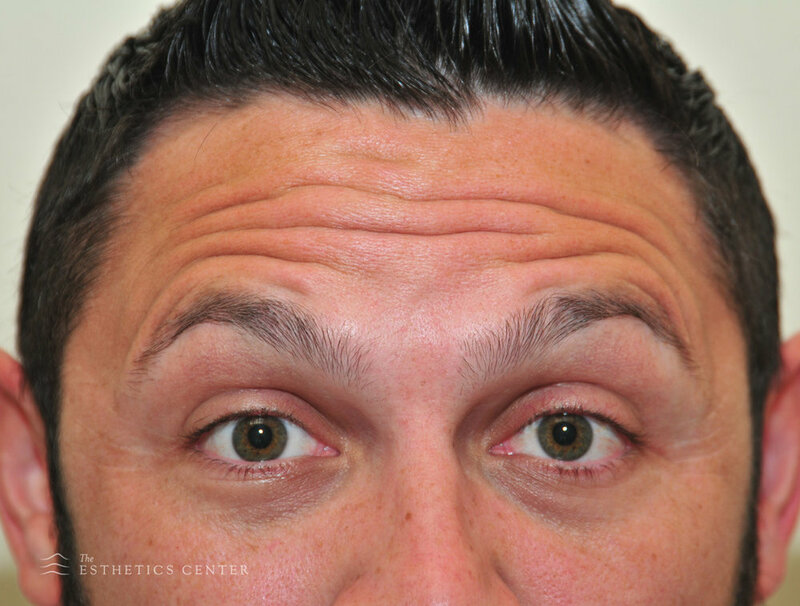 In clinical studies with BOTOX, physicians noted that 80 percent of patients with moderate to severe lines and wrinkles had significant improvement by day 30. Due to the nature of BOTOX, because it is so precise and accurate, many patients have come rely on it for years to ensure a wrinkle and frown line-free appearance.